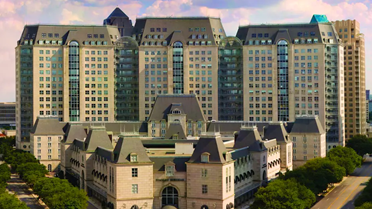 ​​​​​​ DALLAS – The iconic Hotel Crescent Court in the heart of Uptown has completed a $33 million overhaul of its lobby, guest rooms, suites, corridors, spa, and fitness center. The 186 guest rooms and 40 suites—an addition of nine suites from the original—were taken down to the studs and fully restored, and an all-new 22,000-sf spa and fitness center was added. Starting rates in the hotel range from $449/night for the Deluxe Room to $2,999/night for the Presidential Suite.